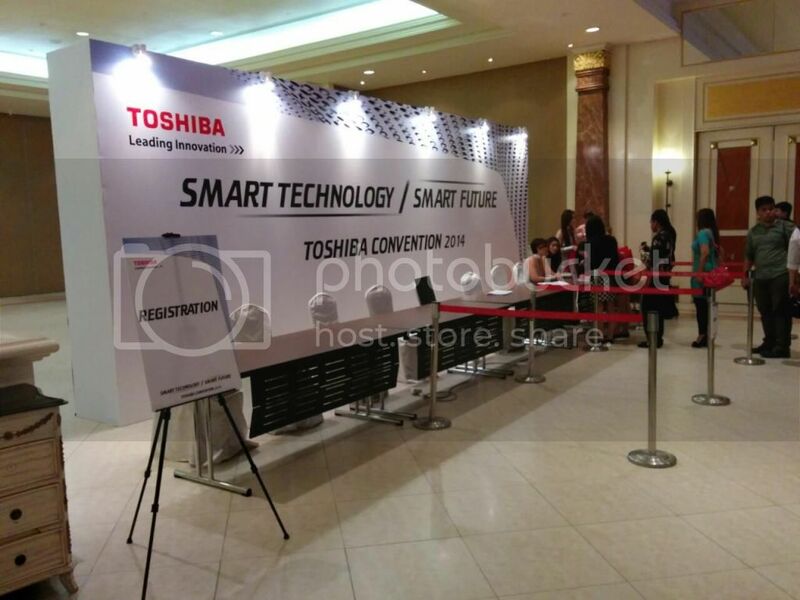 Last week, Toshiba had their Toshiba Convention 2014 at Genting International Conventional Centre with their theme "Smart Technology Smart Future" to showcase its latest line-up of Audio-Visual products and Home Appliances. Toshiba envisions a smarter community and smarter lifestyle for everyone that includes the ecological and environmental aspects, energy-savings innovations, practical product refinements, user-friendly options and an innovative design synergy that blends in with modern living expectations. 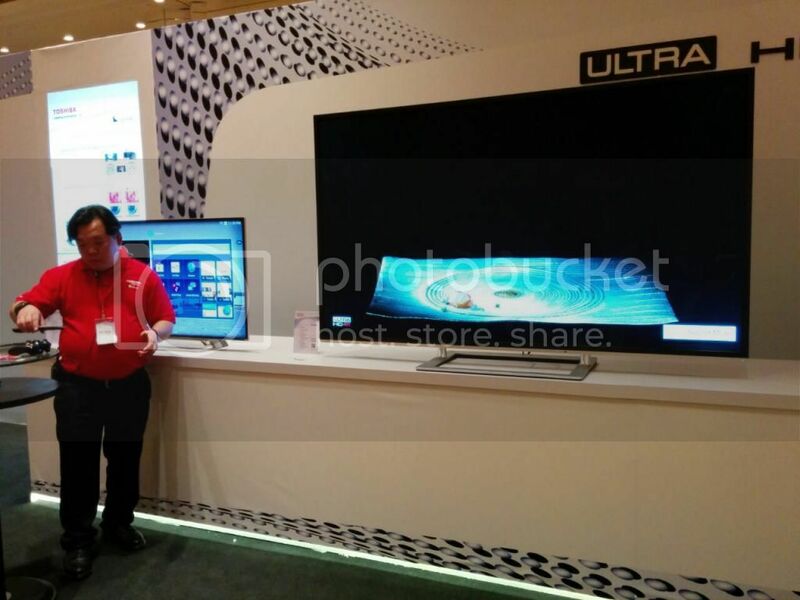 What caught my attention the most in the Toshiba Convention was the Toshiba Pro Theatre L9450 Ultra HD 4K with Android series from Audio-Visual section. This TV offers 4x the resolution of Full HD TVs which enables the viewers to experience a new intensity in picture quality and brilliance. 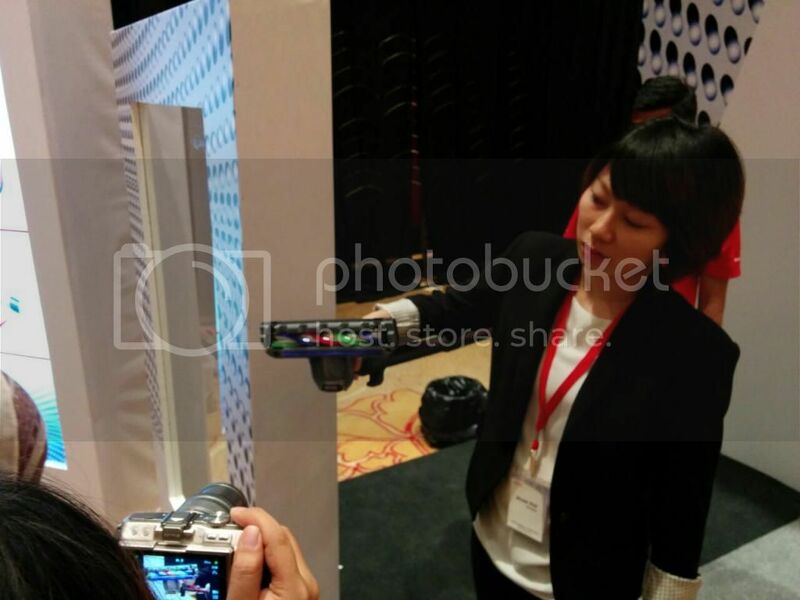 This TV is made possible by combining a wide colour gamut Ultra HD 4K panel and third-generation CEVO 4K Engine so that the users can enjoy an incredible 3840 x 4160 pixels with breath-taking picture quality. You also get to discover the joy of watching online movies and music videos, playing online games and more on a huge screen of professional quality by taking advantage of thousands of apps available for download. You can also browse the Web for your favourite videos and other content, as well as use Screen Mirroring capabilities to enjoy photos and movies from smartphones and tablets via wireless transfer. Sounds cool right? I never know it can be so fun looking around at the electrical appliances in a convention. 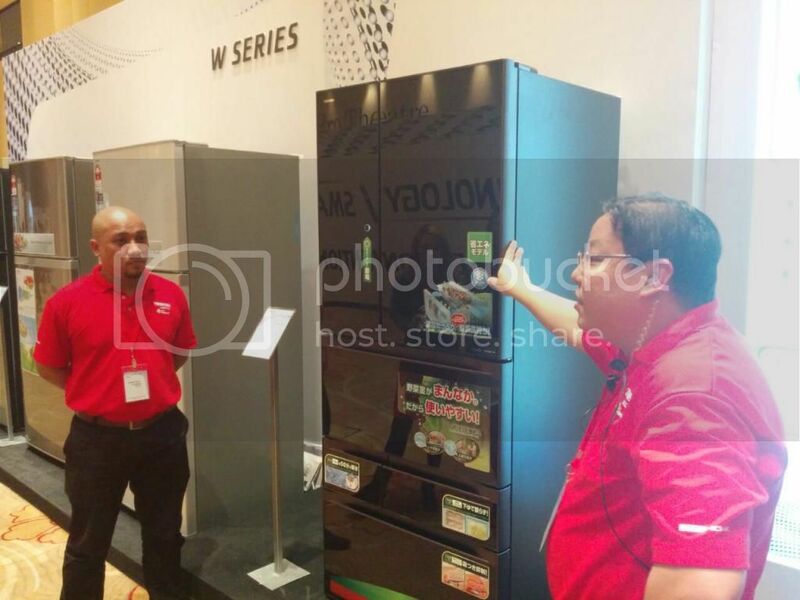 *wide grin* The Toshiba's new multi-door G-series refrigerator looked absolutely classy with well-organised design. It has a unique middle-positioned vegetable compartment for easy retrieval and storage of large and heavy fruits and vegetables . The freshness of food is preserved through a Twin Cooling System that features stable temperature control, lower temperature setting and higher humidity in the refrigerator compartment. This will result in long-lasting and fresher food with nutrients keep intact as moisture is prevented from evaporating from the food. Additionally, PICOION technology reduces bacteria, odour and prevents food such as eggs, cheese, milk, meat and leftovers from becoming mouldy. 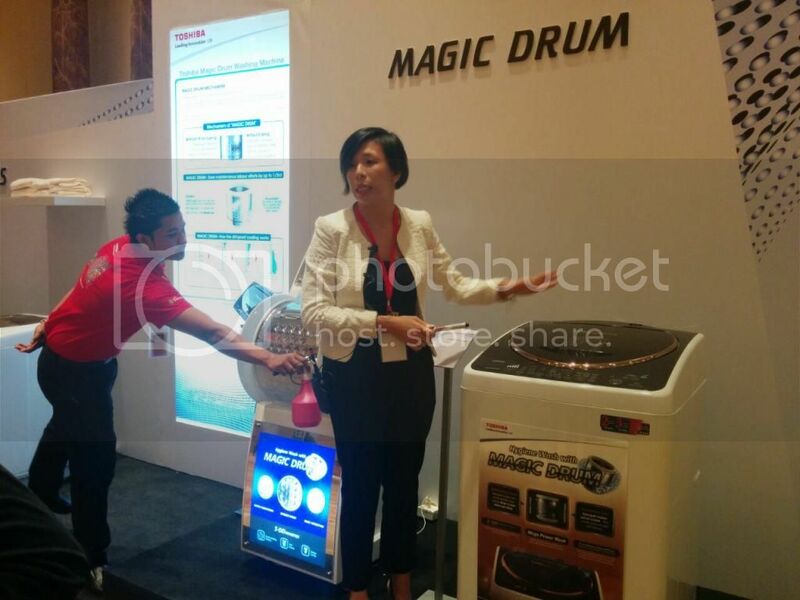 Moving on to the new Magic Drum Inverter-driver washing machine. This washing machine features Mega Power Wash where it's a combination of Magic Drum, Mega Power Pulsator (washing kneading effect) and Hydro Twin Power (deeper detergent penetration in to the fibres of fabrics) function for unrivalled washing performance. People with skin allergies will like this amazing-dirt proof coating behind the drum which prevents detergent residue and oil - the cause of mould and bacteria, from remaining on the surface. Toshiba's Torneo Vacuum Cleaner is lightweight with superior and sustainable cleaning power thanks to the breakthrough Dual Tornado System along with a revolutionary ultra-hygiene Futon Brush that's 16 times beat by four flexible sticks per one rotation of wheel effectively removes dust mites and even minute particles of dust to ensure the highest levels of hygiene for your family. 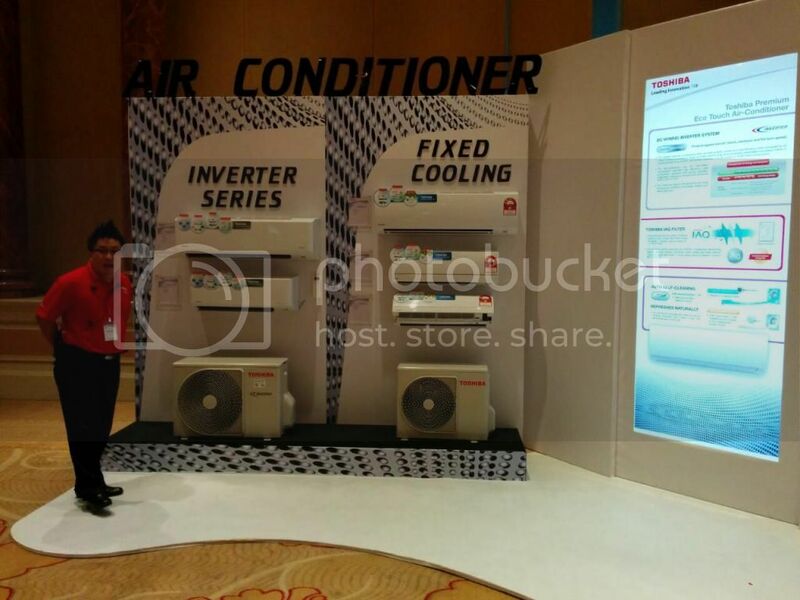 Toshiba launched its new Premium Eco Touch Air-Conditioner which features DC Twin-Rotary Compressor, DC Hybrid Inverter System, Toshiba IAQ Filter and Air Ionizer that combine to produce unsurpassed air quality for the home and ensure superb energy savings. 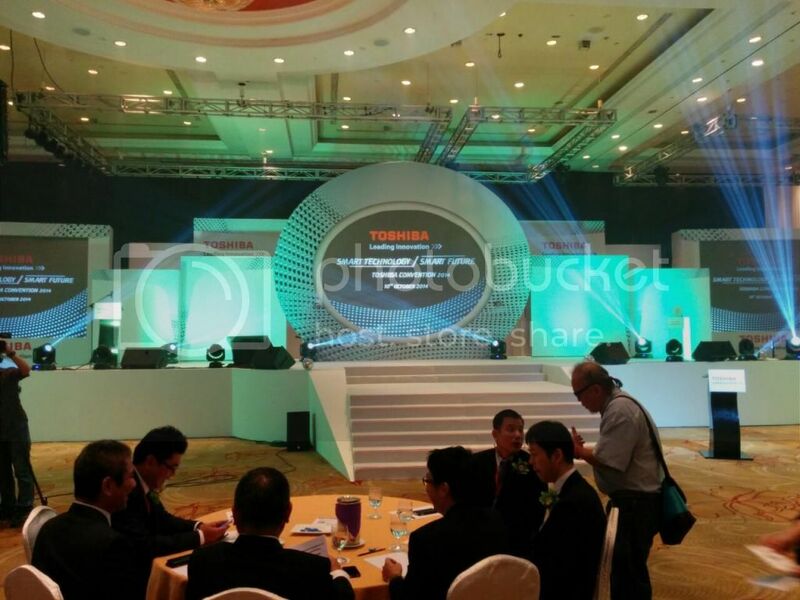 Thank you Toshiba for providing us the leading technologically innovative products that provides excellence functionality, reliability, durability and environmentally friendly. Anyway, I would like to share a video with you guys on a journey of discovery and appreciation to the things and people around The Ming Thing, one of the famous Malaysian YouTube stars. Let's watch and explore how Ming stays connected with his followers, friends and family with Toshiba's new Pro Theatre TV. Disclaimer: This is a sponsored post from Nuffnang.